John Halsted was educated at Westville Boys High, just outside Durban, South Africa, where he spent more time on the sports field, gaining school honours for athletics, and also represented the province of KwaZulu-Natal � and just managing to graduate. His lack of interest in academic school work led his teachers and parents to despair, while his coach rejoiced. In the year following high school he commenced national service in the South African Air Force and spent more time on athletics tours and having a good time, never fully committed to the defence of apartheid, as his Sergeant Major will readily testify. After completing his national service he spent the better part of eighteen months cycling around the UK and Europe. On returning to South Africa in 1980 he found a job as a shipping clerk and when the opportunity presented itself he transferred to Johannesburg, only so he could continue his athletics career. In 1982 he found himself managing a container depot. It was here that he was run over by a seven-and-a-half-ton forklift truck and his athletics career brought to a screaming halt - literally and figuratively. He spent three months in an orthopaedic hospital recuperating. It was also at this time that the Western nations applied strict sanctions against South Africa due to the country�s apartheid policies and the shipping industry all but died. Not long after leaving hospital he found himself out of a job and without any marketable skills. The easy times were over, he had to skill up. In 1983 he found employment as an internal auditor with a major motor manufacturer. Searching for the ideal career he later transferred to the Accounts and Finance department. In 1985 he went to night classes and trained as a computer programmer later transferring to the I.T. department. In 1986 he met his future wife Joy, a Kiwi Occupational Therapist, on assignment from the International Leprosy Mission, at Westfort Hospital, Pretoria. They married in 1987 and in 1988 moved to Auckland, New Zealand where they had two children. In 1991 the family were transferred from Auckland to Wellington. In 1994 he moved in to project management, finally finding his ideal career which gives him the fun, the challenge and the variety he requires. Their third child was born in 1996 and their fourth in 1998. In 1999 the family moved to England, the birth place of his Grandmother. In 2001 he made a poignant journey to Poland where his father was a PoW during WWII. Always relishing a challenge in 2004 he cycled the 500 mile/800km Way of St James across northern Spain. In 2006 he completed the 300m/480km from the Atlantic to the Mediterranean through France along the Canal du Midi. A life�s ambition has been to write a book, and Legend of the Last Vikings � Taklamakan is hopefully the first of many. 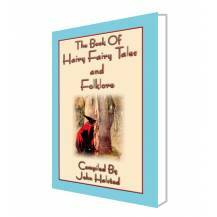 In 2008 John established Abela Publishing (Abela:Zulu � to distribute or share) with the express aim of republishing old, forgotten and out of print folklore, fairy tales, myths and legends and donating a proportion of the profits to charities. He makes no apology for doing this. 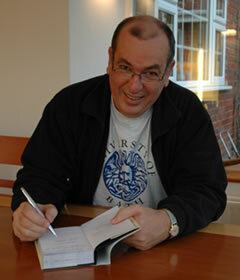 With over 125 books published, new authors have since begun to approach John requesting that their books are published through Abela Publishing. 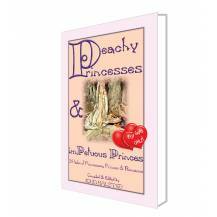 You will find the profiles for these authors in the Abela Author�s pages. Often denied opportunity by others, he is now a firm believer in giving opportunity. 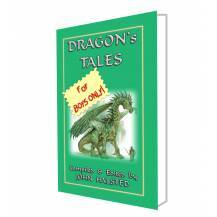 He has commenced a program that gives unknown illustrators the opportunity to get their works published through the Abela Books. He has worked with schools in the UK and is currently working with an East Coast school in the USA through illustrator and teacher Terry Kole giving budding artists, some as young as 12, the opportunity to become published. In addition to his publishing activity, he is currently working on the sequel to Legend of the Last Vikings � Taklamakan. Footnote: John�s son, Scott, selected to represent English Schools, won the World School�s Athletics Cup 1500m in Sokolov, Czech Republic in June 2013.